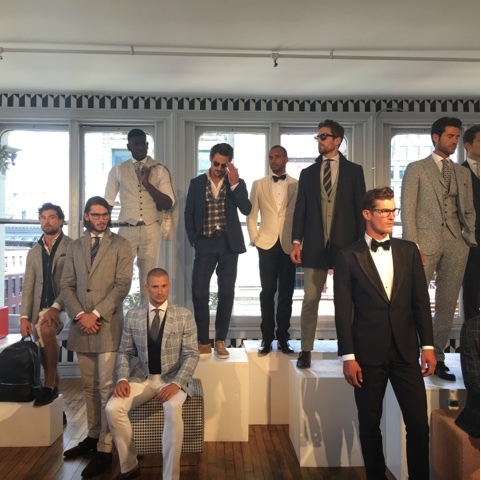 So last week I attended my first Men's Fashion Week ever which was held in New York. It was pretty fun yet hectic. Day 1. 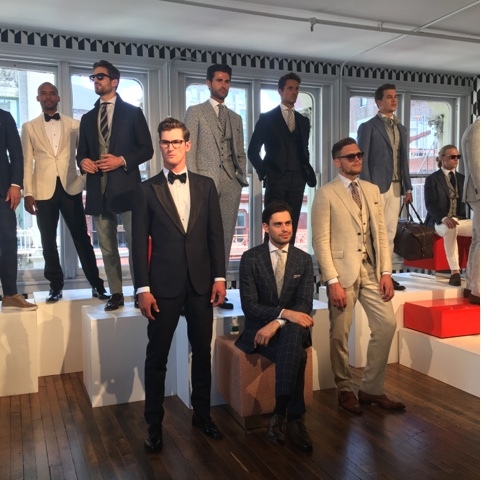 I flew in that Monday and headed straight to my first presentation which was for SuitSupply. 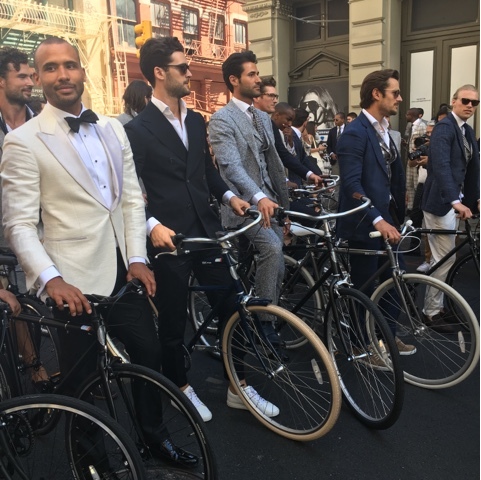 The introduction was pretty awesome the models took over the streets of New York on bikes. I thought it was a brilliant idea and great introduction from the brand. Inside the models were so dapper. I truly loved this New Collection. The models were so dapper in their linen suits which are perfect for the blazing hot summers. I can't wait to get my hands on one of these suits!